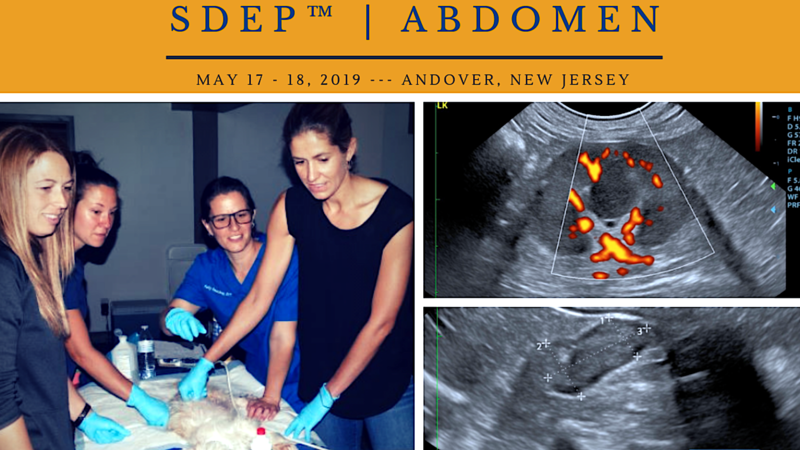 Join us for 3 days of lectures and hands-on training with Dr. Eric Lindquist and the SonoPath team to rapidly learn to obtain all of the abdominal views you need to optimize imaging, correctly diagnose, and make the right treatment decisions based on results. The full 3-day program is geared towards beginners, intermediate, and more advanced sonographers. Earn 22 RACE approved CE credits. Scanning groups are limited to 3 attendees per 1 instructor at each table to ensure a personalized learning experience matched to your skill-level. Save your spot today! Program registration fees include: Course and materials fee (you will receive our SDEP Abdomen 17 Pt. instructional video) 2 weeks prior to the event itself a, $69 value), 22 RACE approved CE credits, breakfast and lunch during lab. This program registration fee does not include travel arrangements or hotel accommodations. Space is limited, as scanning groups will be limited to no more than 3 people per station to ensure plenty of hands on learning for each attendee. We encourage you to reserve your space as soon as possible. Click Here for more info Discounts are available for multiple doctor/technician registrations from the same clinic. Please contact us at info@sonopath.com for inquiries.